With more than 20 years of professional experience, Geoffroy Ader is one of the most recognized experts in the field of modern and vintage watches. After working for the main auction houses, such as Antiquorum Geneva from 2000 to 2004, he joined in 2008 Sotheby’s Geneva to become its European Head of Watches until the end of 2014. All his years of experience in auctions helped him understand market developments and the challenges for the coming years in the development of off-line and on-line auctions. Auctions in which he participated have allowed him to acquire a significant knowledge to better understand the future of the auction industry. Franco-Swiss citizen, from a family of auctioneers renowned in France, Geoffroy Ader has spent his career between Paris and Geneva for more than 20 years, while participating in major auctions with international auction players in Monaco , London, New York and Hong Kong. From his first specialized auctions at the Hotel Drouot in Paris alongside his father, Me Antoine Ader, to his experience as European Director of the Haute Horlogerie department at Sotheby’s in Geneva, both as a specialist and auctioneer, he acquired a vast knowledge in modern and vintage watches. Today he puts his expertise alongside major players like the leading French auction house Artcurial, while as well assisting his fellow jewelery experts in the field of modern and vintage watches, Cabinet Dechaut & Stetten and Emeric & Stephen Portier, members of Syndicat Français des Experts Professionnels en Oeuvres d’Art et Objets de Collection. With more than 20 years of professional experience, Geoffroy Ader is one of the experts who participated in the main auctions of private collections in Europe and abroad. Having dispersed during his first sale to Drouot, alongside his father auctioneer, the private collection of the artist Swatch Kiki Picasso on December 2, 1995, he was then privileged to participate in the sales of important collections that have met with great success and remain today references in the market. Among the important collections that remain in the collective memory in recent years, we note the names of famous collectors such as Lord Sandberg, Thomas Engel Professor, Theodor Beyer at Antiquorum from 2001 to 2003, Graves Fullerton and George Daniels at Sotheby’s in 2012, the collection from the artist Arman in 2017 at Artcurial. Among historical watches inspected through his keen eye over the course of his career, Geoffroy Ader gives you here some pieces that he had the chance to appraise all these years, including several watches signed by the famous watchmaker Abraham Louis Breguet and sold to illustrious people. Among this selection of different watches, some of them belonged to the Chancellor Konrad Adenauer, King Louis II of Bavaria or the Formula 1 racing driver Clay Ragazzoni, finally the personal watches of the artist Arman. During his career, Geoffroy Ader had the honor of appraising several exceptional watches, from the Patek Philippe which belonged to Count Trossi, first Ferrari Scuderia Manager to some iconic Rolex models such as the Daytona RCO or the complicated Breguet from Lord Seymour. 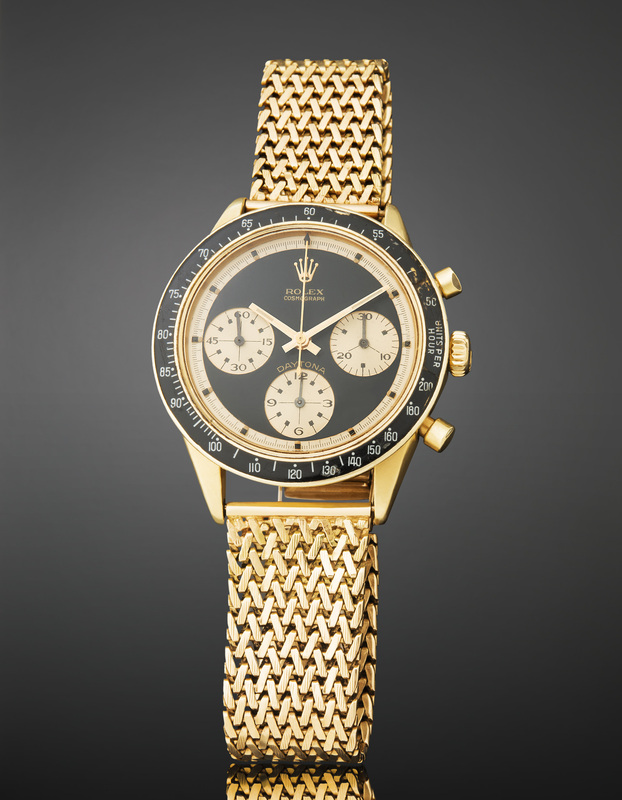 A wide range of impressive results confirming that collecting watches proves to be a very strong investment in the art market. Since this year Artcurial has actively put forward jewellery watches through a series of thematic auction, Le Temps est Féminin, Geoffroy Ader shows you here some of the highlights of the season in this market segment. Among objects around watchmaking that he could hold in his hands, Geoffroy Ader delivers here some exceptional pieces that have marked the watch auction market. For example, the oil-on-canvas portrait of Abraham Louis Breguet, his bronze bust, a series of enamelled dials, and the mysterious Cartier clock offered to General de Gaulle are all important testimonies in the history of watchmaking.